CASEY IS THE LEADER OF 'THE 'SONS OF THE GUNS'. HE TAKES THE PART OF THE SON OF DOC HOLLIDAY. HE IS CO-WRITER OF THE SONG 'THE SONS OF THE GUNS' ALONG WITH HIS WIFE - LIZ ANDERSON. HE AND LIZ ALSO CO-WROTE 'THE FUGITIVE' THE FIRST #1 SONG BY MERLE HAGGARD. 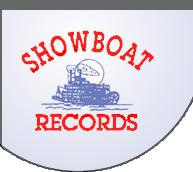 HE AND LIZ ALSO CO-WROTE THE TITLE SONG OF HIS CD 'THE BALLAD OF THE PONY EXPRESS' ALSO ON SHOWBOAT RECORDS. CASEY WAS A RIDER IN THE ORIGINAL RE-RUN OF THE PONY EXPRESS IN 1960 BETWEEN SACRAMENTO, CA AND ST. JOSEPH, MO. CASEY SINGS AND DOES GREAT RECITATIONS ON SEVERAL OTHER SONGS ON THIS CD.